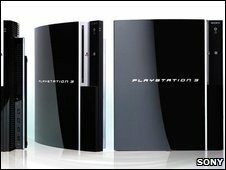 Sony has rebutted claims made by the BBC programme Watchdog that its PlayStation 3 (PS3) consoles suffer from a manufacturing fault. The programme spoke to PS3 owners who experienced the "yellow light of death" - after which the video game consoles did not work. Sony argued that the small Watchdog study did not support firm conclusions about a potential manufacturing fault. It also criticised the programme's approach as a "stunt". "We think it is highly unfair to suggest that from an installed base of 2.5 million that the numbers you mention somehow are evidence of a 'manufacturing defect'," wrote Ray Maguire, managing director and senior vice president of Sony Computer Entertainment Europe in a letter to the programme ahead of the broadcast. "The phrase 'yellow light of death' has been adopted by certain members of the online community to describe the situation in which PS3 systems have shut down following the illumination of the yellow light on the PS3's front panel," the letter stated. "The yellow indicator is simply a non-specific fault indicator that can be triggered in a range of different circumstances." The Watchdog producers approached three commercial repair technicians, who examined the faulty units and said they displayed a high number of "voids" - faults in the solder that connect the electronic components. In the letter, Mr Maguire said the fact that those voids were not exhibited by all of the faulty units presented to the programme was an indication that they were not the source of a definitive manufacturing problem. The Watchdog team set up its PlayStation Repair Action Team, or Prat - a clinic for faulty PS3s outside Sony's London offices, advertising that they were offering a service that Sony charges for. Mr Maguire's letter called the segment a "stunt" that "treats with inappropriate levity an issue which may do serious damage to...the Sony and PS3 brands". A BBC spokesperson defended the programme, saying that "Watchdog investigated this item having been contacted by 155 viewers who had experienced problems with their PS3". "We presented a fair and accurate account of their stories, using expert advice and we broadcast Sony's response." Since the programme was broadcast on Thursday night, the BBC has been contacted by a further 265 PS3 owners experiencing the yellow-light fault. Sony told the Watchdog programme that "less than half a percent" of the 2.5 million consoles it has sold exhibited the "yellow light" phenomenon when they failed. The programme quoted the figure as 12,500 consoles - half a percent of that 2.5 million figure - but a spokesperson for Sony said the number is less than that. However, Sony declined to give BBC News a more exact figure, citing a risk to its competitive advantage.